CLARE U-21 half-forward Seán Collins’ hopes of playing in the All-Ireland final on September 13 in Croke Park are very slim. The Cratloe man sustained a shoulder injury in the last 10 minutes of Cratloe’s intermediate football championship win over St Breckan’s in Gurteen on Sunday evening. Collins won an U-21A football medal on Thursday evening, when his club defeated Ennistymon and helped Cratloe to defeat Wolfe Tones on Saturday in round 4 of the Clare senior hurling championship. However, his third championship match in four days, just two weeks before the final against Kilkenny, almost certainly ended the Limerick IT student’s chances of lining out in Croke Park. “I was kind of standing getting the ball and a lad came in with a shoulder. 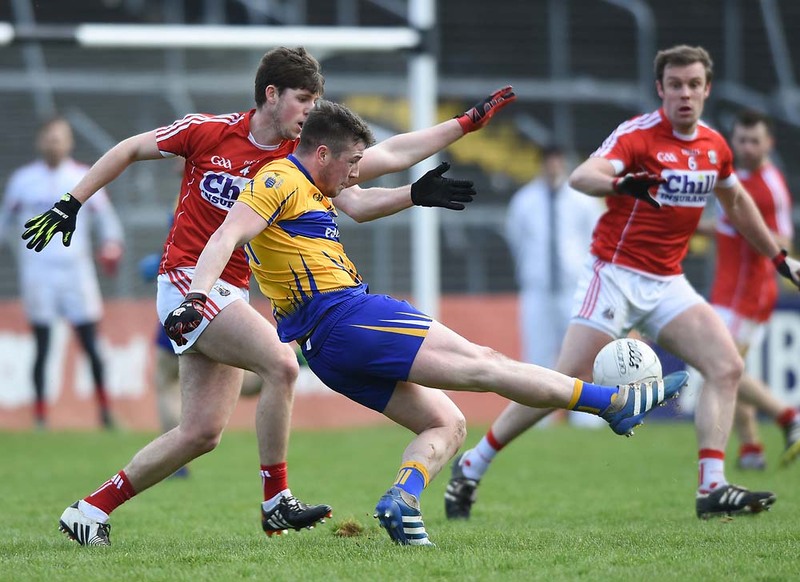 There was no free or anything, it was just shoulder to shoulder,” Collins told The Clare Champion. “I knew I was in trouble but I played on for a minute after. I got the ball again and tried hand passing but I couldn’t. That was it. I knew it was serious then. I went up to Galway on Sunday night and got x-rayed straight away. The specialist there said it’s a grade one dislocation of the AC joint and he said six to eight weeks is the recovery time for that,” he explained. A second opinion suggested that the dual player might have a slight hope of recovering in time. “I was talking to other people on Monday and they said to try and get the swelling down and see how it is. See can I pick up a hurley next Wednesday or Thursday week and see is there any movement. There’s not much movement in the shoulder at the moment so I don’t think so, to be honest,” he said with reference to his chances of recovering in time. Despite the probability that he won’t be fit, Collins says that he will do his utmost to remain positive. “You can’t be sulking or anything. The main thing on the 13th is that we win the game, no matter who’s playing. There’s a great panel there. I think there’s 36 on the panel and as long as we get the result on September 13, it doesn’t matter,” he maintained. His Cratloe club colleagues Liam Markham and Conor McGrath will represent their club, on the Clare panel, the weekend after next. 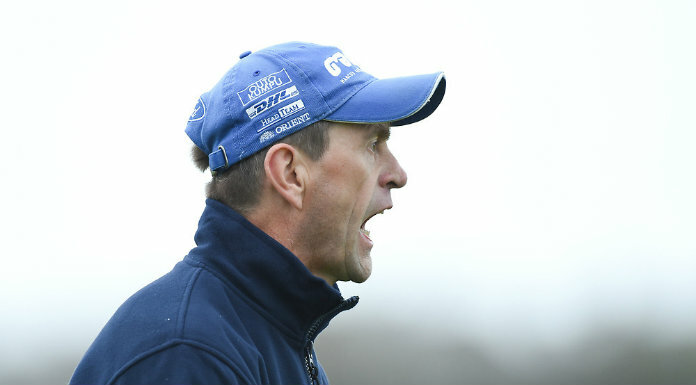 “We’re lucky in Cratloe, we’ve a good group of lads from around 17 to 19 that are committed. We’re trying to make the most of it while we have it and hopefully the two boys will do well,” Collins said. Until Sunday evening, Cratloe had enjoyed a successful weekend, winning all three championship encounters. “It was a great weekend for the club, winning the three games. I suppose you’re playing Russian roulette in a way, playing three games in four days. You might pick up a bang but it happened and you just have to get on with it and try and get back as fast as you can,” Collins reflected. On a broader note, Collins is adamant that playing both hurling and football at club, county and third level, is not impossible. “To be honest, I was enjoying it. I’ve been lucky enough the last three or four years, I hadn’t got a bang or anything. I’d be doing nothing else. GAA is all I’m interested in, so I enjoy playing both games. It’s tough at times trying to mix both of them but it would be worse if you couldn’t play them, if you were crocked for a year,” he maintained. At the back of his mind, Collins harbours a smidgen of hope that his shoulder might heal in time for Sunday week. “Fingers crossed. I’m doing everything I’m told anyway. It’d be miracle but you never know. But as long as we win, that’s the main thing,” he reiterated.